Rail tours are an upscale attraction which allows vacationers and tourists to enjoy very long trips by train in a ultra-luxurious comfort. Such trips are quite common in Europe although a few companies throughout the United States and Canada provide such offerings in North America. One of the most well-known is the Rocky Mountaineer, a Canadian service which has operated since 1990. It is based in the Pacific Northwest and provides a trip throughout the beautiful Canadian Rockies in the provinces of British Columbia and Alberta while also reaching Seattle, Washington. Amtrak, currently the United States' only intercity passenger rail service, provides coast-to-coast rail packages although would not necessarily be classified as a "rail tour" venue. Two other noteworthy choices include Rails Journey West (providing private rail car accommodations via long-distance expedition Amtrak services) and the Sierra Madre Express. The latter is hosted by North American rail Adventures, offering private rail tours between Tuscon, passing across the Mexican border, passes through the country's breathtaking Copper Canyon, and operates as far as Creel/Divisadero. Please note! The information presented here highlights long-distance rail tour packages only. 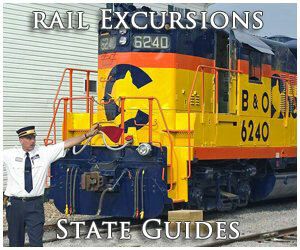 If you are interested in trips more local in nature please click here for a state-by-state guide to rail excursions and train rides. Amtrak (officially known as the National Railroad Passenger Corporation) is America's only way to see the entire country by train. It took over most intercity passenger services from the private freight railroads in 1971 although, surprisingly, remains unknown to many folks today. I occasionally receive e-mails asking if there is any way for an individual to travel by train and always refer the individual to Amtrak's website. Presently, the carrier serves every state in the contiguous United States except South Dakota and Wyoming. Over the years its offerings have expanded although remain a far cry from that classic age of rail travel; trains are typically delayed, food service has been described as fair at best, and overall accommodations below expectations. However, trips are very affordable and many travelers are quite loyal to Amtrak. 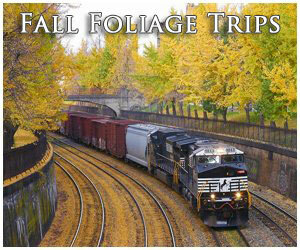 One of their perks includes "Vacations & Rail Tour" packages for those wishing to experience America by rail. These destinations cover a wide range of options from visiting the Pacific Northwest and the Grand Canyon to experiencing New England and New York by train. To learn more about all of their offerings please click here. The West Virginia Central, operated by the Durbin & Greenbrier Valley Railroad (D&GV), is a growing attraction which launched in 1998. 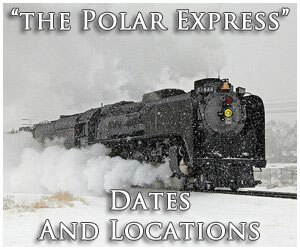 Most trains depart from the restored Western Maryland depot in downtown Elkins, West Virginia, offering guests the chance to see the Mountain State's breathtaking natural beauty within the Appalachian Mountains via excursions lasting anywhere from 2 to 8 hours. You will travel along the Tygart Valley River, Cheat River's Shaver Fork, and pass through the Monongahela National Forest. The railroad hosts several different trips within climate-controlled cars, from a full-service dining experience to spending nights inside restored cabooses! 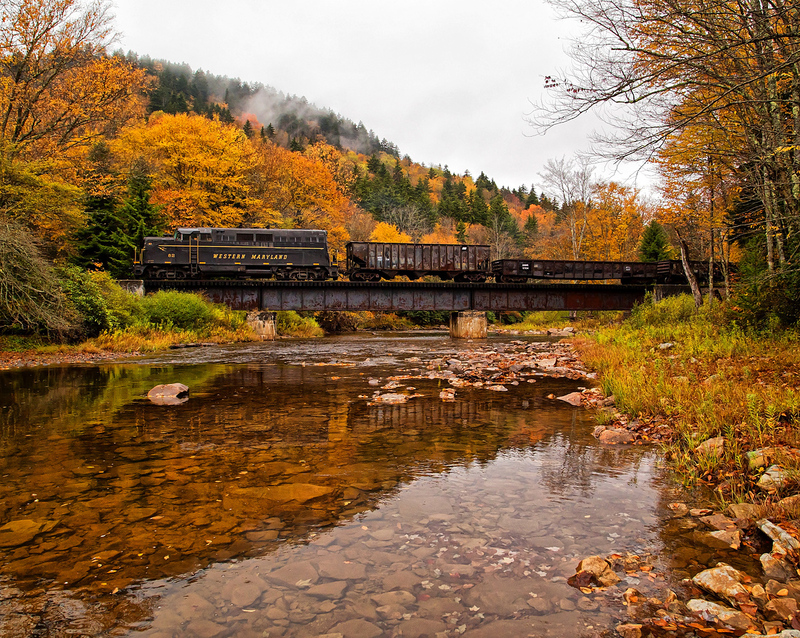 In addition, with the world-famous Cass Scenic Railroad now a component John and Kathy Smith's operations, WVC, packages now include connection trips along this former logging line where trains are pulled by restored geared steam locomotives. The West Virginia Central has blossomed into one of West Virginia's top tourism destinations and will likely be adding more services in the future. The Durbin & Greenbrier Valley is a John and Kathy Smith's first railroad, which now includes the West Virginia Central and Cass Scenic Railroad. The D&GV launched public excursions in 1997 over a short stretch of Chesapeake & Ohio's historic Greenbrier Branch in the small, rural town of Durbin. With no state funding they have successfully grown the railroad into a popular venue that will soon reconnect with the national rail network at Cass (14 miles away). As part of a far-reaching endeavor to offer an expansive tourist attraction via a 90-mile loop running from Elkins to Durbin and back via Spruce, the hope remains to one day rebuild Western Maryland's old Durbin Branch (currently the West Fork Rail Trail). The D&GV train is pulled by historic geared steam locomotives (also found at Cass) while the WVC provides full-service meals and other fine amenities aboard their trains (as mentioned above). 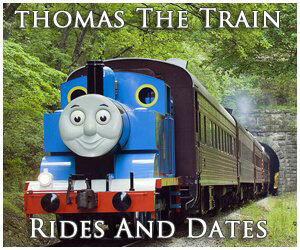 To learn more about riding the railroad's famous Durbin Rocket please visit the link above. There are arguably few other finer rail travel experiences available anywhere in North America than those aboard the Rocky Mountaineer. 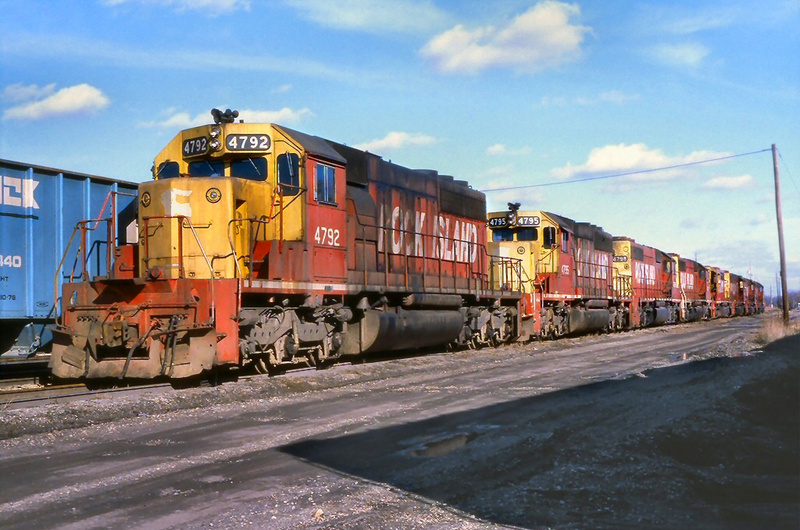 This train debuted on May 27, 1990, a product of the Armstrong Group based in Vancouver, British Columbia. Folks like to be pampered and, coupled with the train's breathtaking scenery through the Canadian Rockies, the Mountaineer has proven a resounding triumph. There have been a number of rail tour operations attempted or planned, such as the X Train and Trancisco Tour's Sierra 49er Express, but few have achieved success, much less in operation for nearly three decades. Since it was launched the train has become the most popular privately operated rail tour company, carrying more than one million passengers during that time. It has enjoyed a multitude of achievements and recognition including being named as the "World's Leading Travel Experience by Train" seven times by World Travel Awards, its GoldLeaf service was recognized by National Geographic Magazine as one of the "World’s Best Journeys" (2007), and the Society of American Travel Writers, heralded it as the the world's top train (2009). The Rocky Mountaineer currently offers four different tours running north and east of Vancouver with one trip traveling south to Seattle, Washington. In addition, some packages include cruises, helicopter sightseeing, and five-star hotels. Depending on your budget and interest(s) you can ride their trains anywhere from one to fourteen nights (or more if you book a hotel). The four route options include: First Passage To The West (Travels along Kicking Horse Pass and through the famous Spiral Tunnels between Vancouver and Banff. ), Coastal Passage (This is the Mountaineer's newest experience; running the length of its network it makes stops in Vancouver, Banff, Jasper, Quesnel, and even Seattle. ), Rainforest To Gold Rush (Running the so-called "Northern Route" between Vancouver and Jasper, via Quesnel, this trip passes through the Rocky Mountain Trench, skirts Mount Robson, along Fraser Canyon, and into the ranchlands of the Cariboo Plateau. ), and Journey Through The Clouds (This is the central leg linking Vancouver with Jasper via Kamloops. The train passes through the Coastal Mountain Range and Fraser Canyon. Along the way you will follow the Fraser River and pass the Albreda Glacier and Pyramid Falls.). To learn more and plan a trip aboard the Rocky Mountaineer please click here. Until 2018, Rail Journeys West offered private rail car accommodations aboard long-distance Amtrak trains. This service truly hearkened back to the "Silver Age" of rail travel with full meals on-board and entertainment provided. The trips were provided within a fully restored dome-sleeper-observation car named the Silver Solarium. This beautiful piece of equipment was manufactured by the Budd Company for the Chicago, Burlington & Quincy (CB&Q) in 1948 for the railroad's premier California Zephyr. While the train still operates under Amtrak today, it was originally the idea of the CB&Q, Western Pacific, and Denver & Rio Grande Western. These three companies worked together in providing top-notch train from Chicago to San Francisco. It was one of the premier travel experiences throughout the western United States and remains fondly remembered today. The Silver Solarium was sold to Amtrak in 1970 where it operated until 1980. Afterwards it sat in storage for decades and fell into disrepair until a private owner acquired the car and fully restored it. In the early 2000's it re-entered service behind Amtrak trains providing private accommodations for an upscale travel experience. The car featured three double bedrooms (with enclosed toilets), sinks, and showers that sleep up to 11 guests, a drawing room, and a stateroom. The observation lounge seats 11 in classic railroad lounge chairs upholstered in frieze fabric, and the vista dome car seats 24 in booth seating at tables. The Silver Solarium also features a full commercial kitchen with a range that includes a half-size convection oven, an original bar with a carved linoleum façade, and a sound system with CD and iPod. 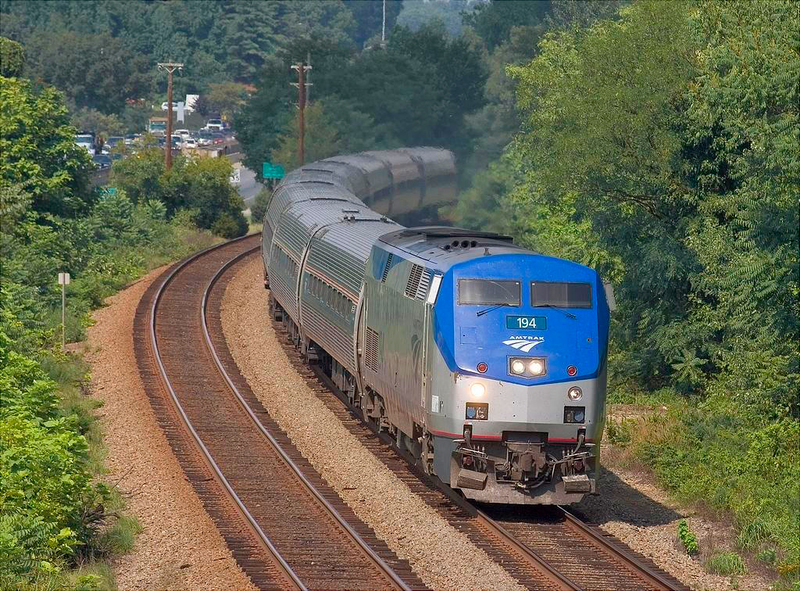 In April, 2018 Amtrak announced that as of January 1, 2019 the cost of private railcars to operate behind their trains would drastically increase. As a result, many owners could not or would not pay these vast price hikes and instead chose to sideline or sell their equipment. This included the owner and operator of Rail Journeys West who sold the Silver Solarium to Ohio's popular excursion, the Cuyahoga Valley Scenic Railroad, in August, 2018. 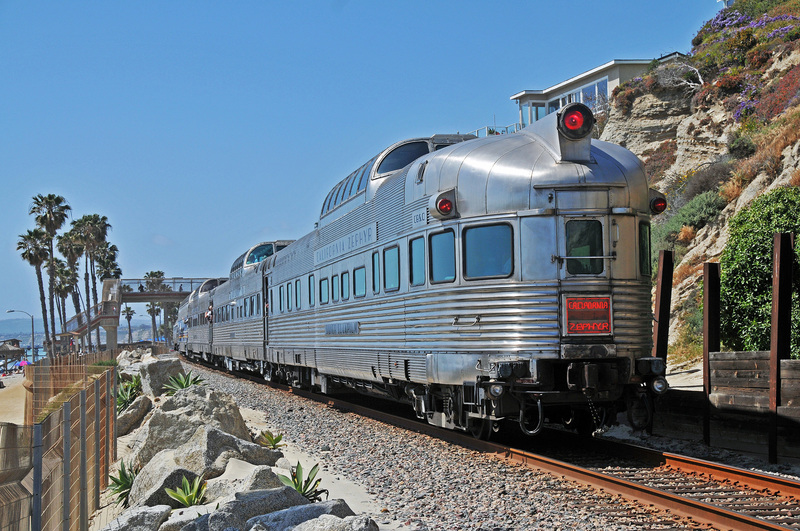 Today, you can still catch a ride aboard this beautiful car as well as four other fully restored California Zephyr cars (Silver Bronco, Silver Lariat, Silver Peak, and Silver Rapids) now in operation there! What began as the American European Express of 1989, transformed into the American Orient Express (AOE) in 1994 following the former's down in the fall of 1991. The Orient (which held no ties to Europe's legendary Orient Express) was marketed as an ultra-luxurious tourist attraction operating various trips around the country. 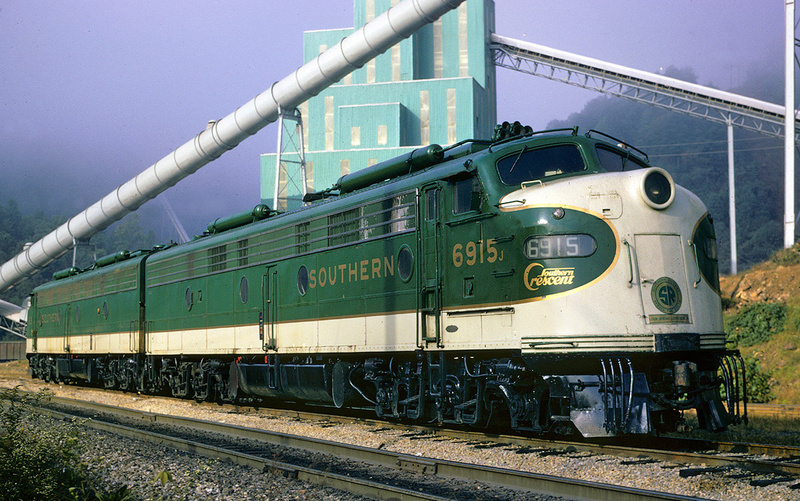 In his article, "Cruisin' On The AOE," from the February, 2000 issue of Trains Magazine, author Karl Zimmerann notes it was the most opulent train to grace America's rails since the Atchison, Topeka & Santa Fe's de-Luxe of 1911. The AOE carried degrees of success, running as part of a larger tourist experience hosted by Trans Texas Rail, Inc. and Reiseburo Mittelthurgau, a tour company based in Switzerland. Despite aggressive marketing, breathtaking scenery, and incredible accommodations, the high price of a ticket and economic downturn which began in 2007, resulted in American Orient's bankruptcy the following years. Trains, which operated in conjunction with Amtrak, ceased after August, 2008. You can read here about the AEO's history and train consist. The Chepe Express is the latest train offering journeys by rail through Mexico's beautiful Copper Canyon. For years the Sierra Madre Express (1986-2009), covered below, operated this route via a slightly different routing down the Gulf of California's coastline. The Chepe is operated by Ferrocarril Chihuahua al Pacífico, a division of Ferromex (Mexico's largest private railroad), and began running in May, 2018. Its current route covers more than 400 miles from Chihuahua, Chihuahua to Los Mochis, Sonora. Tourists, of course, come for the Copper Canyon's stunning scenery which begins south of Creel. The company, operated by Grupo Mexico (which owns Ferromex), states its busiest time of year are the weeks near Easter and Christmas as well as the summer season during July and August. They also recommend anyone interested in the trip during these pick times book their journey at least four months in advance. To learn more about planning a trip please read more via the link above. 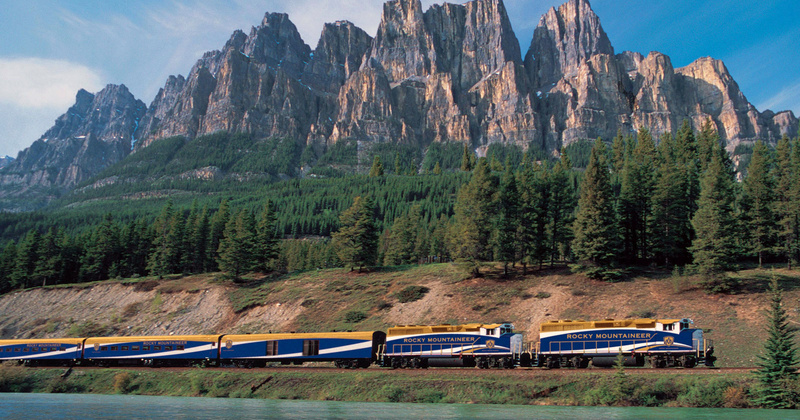 The Sierra Madre Express could be described as the southern version of the Rocky Mountaineer. It was operated and maintained by North American Rail Adventures which hosted a number of other excursions throughout North America. These trips, originally launched by Peter M. Robbins in 1986, hearkened back to the days of yore in railroading's "Silver Age" of streamliners, freshly-prepared meals, and high-class accommodations. There were five restored cars available during the trip. They included the Arizona (A lounge-observation manufactured by Pullman for the Northern Pacific in 1946. It accommodated 22 guests, boasted four double sleeping compartments, one drawing room with its own toilet, and an open wet bar. ), Ing. Ballesteros FCP (This car was manufactured by American Car & Foundry in 1949 for Union Pacific. It was originally a crew dormitory/baggage car and later rebuilt into eight staterooms carrying a sink, toilet and twin lower beds. ), Divisadero (This car was also built by American Car & Foundry in 1949 for Union Pacific). It carries eight additional state rooms and also features an open-end observation platform/porch. ), Tucson (What could easily be argued as the train's keynote car, the Tucson is a lightweight diner-dome built by American Car & Foundry in 1955 for Union Pacific. It has been fully restored for its original purpose. ), and Chile Verde (This car was manufacture by Pullman in 1946 for Great Northern's flagship Empire Builder. It features roomettes, a general bathroom, small kitchen, and dining area). This rail tour experience begins in Tucson, Arizona and travels south to the Mexican border at Nogales and passes through the country's breathtaking Copper Canyon while providing travelers with fabulously scenic views of central Mexico. Trains operate as far as Creel/Divisadero. While the Sierra Madre Express would be not considered quite as luxurious as the Rocky Mountaineer it is nevertheless one of the premier rail tour experiences throughout North America. To learn more and book a trip aboard this vacation destination please click here to visit their website.